"As we grow, we want to do so at a healthy, controlled rate so we are able to continue delivering on our promise and company wide mantra of being a 'trusted capital markets partner for our customers' while providing the highest possible levels of hands-on customer support," said Curtis Richins, president of MCT. * All telephone numbers remain the same. MCT has been named to the Inc. 5000 list two years in a row and also earned a spot on the prestigious Inc. 500 list. The company is comprised of a group of senior mortgage banking professionals that have years of deep experience in capital markets analysis and trading. MCT Trading is a risk management and advisory services company providing independent analysis, training, hedging strategy and loan sale execution support to clients engaged in the secondary mortgage market. Founded in San Diego, California in May 2001, the company has expanded to include field sales and support offices in Philadelphia, Dallas, Charlotte, St Louis and San Francisco. 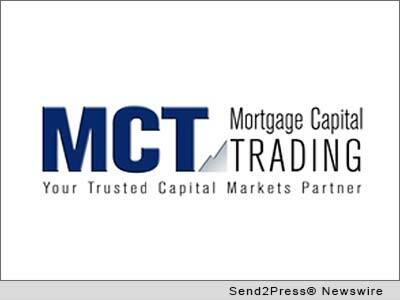 MCT is recognized as a leading provider of mortgage pipeline hedging service and currently supports more than 100 clients on its HALO (Hedging And Loan-sales Optimization) Program. MCT also offers a service that effectively outsources a centralized lock desk for mortgage bankers called LockCentral. Original Keywords: Curtis Richins, MCT Trading Inc., mortgage pipeline hedging, lock desk and risk management services, HALO Hedging And Loan-sale Optimization, hedging model, capital markets analysis and trading, banking, finance, San Diego business news MCT Trading, Inc. San Diego California SAN DIEGO, Calif.
REFERENCES: Banking News, Curtis Richins, MCT Trading Inc., mortgage pipeline hedging, lock desk and risk management services, HALO Hedging And Loan-sale Optimization, hedging model, capital markets analysis and trading, banking, finance, San Diego business news MCT Trading, Inc. San Diego California SAN DIEGO, Calif.